AEW Superstar Kenny Omega recently took the stage at The Chicago Comic & Entertainment Expo and answered a string of fan questions. 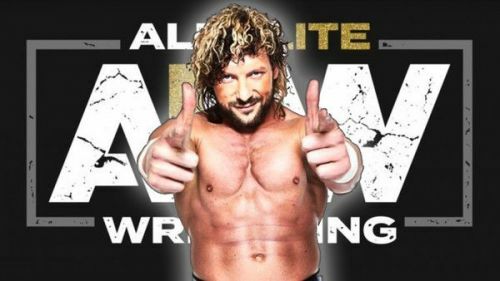 When asked which WWE Superstar he would like to see in AEW, Omega responded by saying he would love to have The New Day and Kairi Sane on the AEW roster. All Elite Wrestling are all set for their first ever show that'll emanate from The MGM Grand on May 25th, 2019. The promotion is reportedly backed by a billionaire, and has signed some of the most recognizable faces in the world of professional wrestling. As of now, AEW has secured the likes of Kenny Omega and Chris Jericho, with more names possibly being announced as AEW's first show, "Double Or Nothing", draws ever closer. Jericho has even gone on to state that the AEW contract has been the best deal of his career. Omega and The Young Bucks recently answered a bunch of fan questions at C2E2 2019. I think she's very talented and a very kind soul, and that's Kairi Sane. She's very passionate about wrestling, very dedicated, has one of the greatest elbow drops ever, aside from Randy Savage and Matt Jackson. She's one of the very few Superstars from that roster that always wishes me a happy birthday and happy holidays. Omega added that he would love to have The New Day over in AEW, to a huge pop. I guess... it's not one guy but I really want to work more with The New Day. I feel like our chemistry is so on point. With Sane still a part of NXT, she has a long way to go in WWE, and could quite possibly become one of the most popular babyfaces on the main roster. As for The New Day, Kofi recently revealed in an interview that the trio still has a lot left to do in WWE. Omega might have to wait for a long time to have either of these Superstars on the AEW roster. Which WWE Superstar would you like to see jump ship to AEW? Sound off in the comments below! AEW Rumors: Are Kenny Omega AND Kota Ibushi about to reunite the 'Golden Lovers' in AEW?